This juxtaposition of generational use is why I’m seeing a trend in new construction homes where –shocker– several builders aren’t even building formal dining rooms anymore! In it’s place, you’re starting to see a bonus room, a flex space, a grandiose foyer, or even my personal favorite- an office. 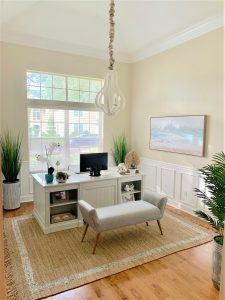 In a pinch for in-home work space? Why not trade in that dusty hutch and table for a new desk and light feature? By creating a personalized area that flows well with the rest of your home’s interior design, you’ll probably find yourself appreciating the room more since it is actually being utilized. 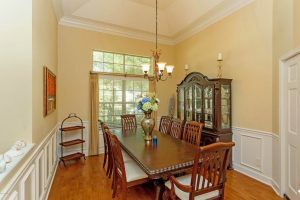 From a resale perspective, keep in mind that doing any major restructuring that limits the dining room to only being an office may turn off future buyers who have their hearts set on having a traditional dining room. Keep it simple and take advantage of the space that is already there. 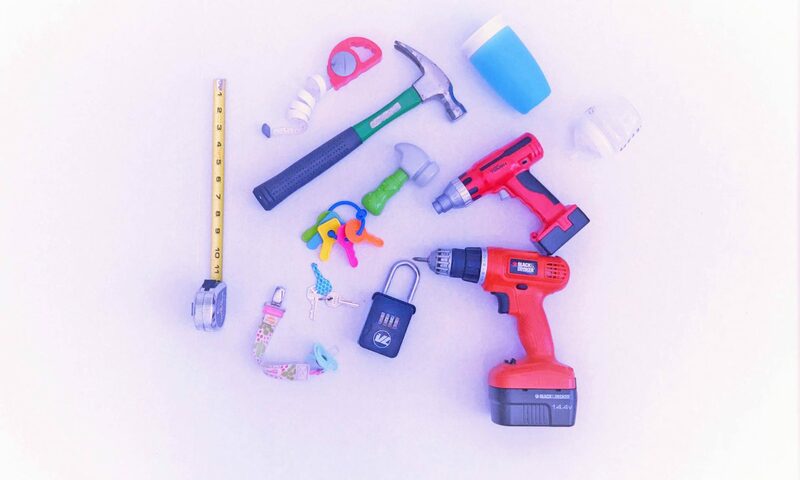 This will allow anyone in the future to determine for themselves whether they want to keep the area as an office, or return it to its predetermined purpose by simply changing out furniture. Otherwise the other members of your household may find themselves longing for the days when the only cleaning that needed to be done in that room involved a microfiber cloth and can of Pledge. 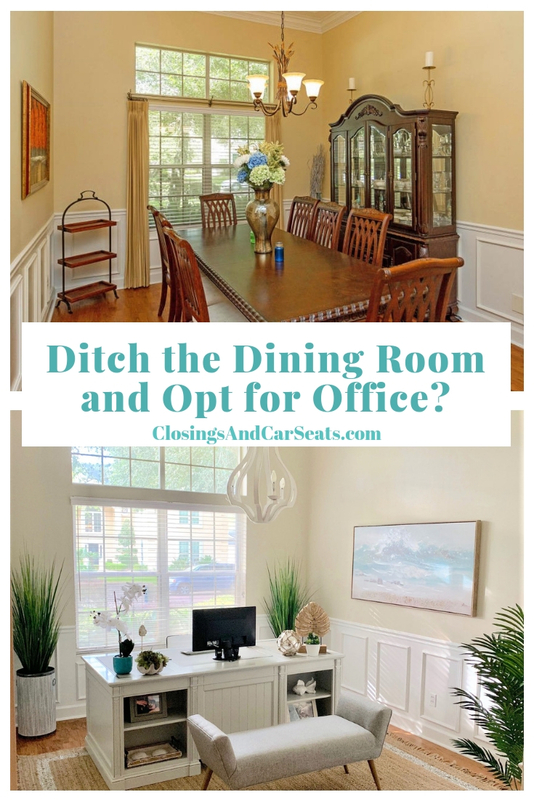 What do you think- keep the traditional Dining Room or create a cozy Office in its place?